Many musicians claim that they “grew up in the church,” but for Robert Randolph that is literally the case. The renowned pedal steel guitarist, vocalist and songwriter led such a cloistered childhood and adolescence that he heard no secular music while growing up. If it wasn’t being played inside of the House of God Church in Orange, New Jersey - quite often by Robert and members of his own family, who upheld a long but little known gospel music tradition called sacred steel - Randolph simply didn’t know it existed. Which makes it all the more remarkable that the leader of Robert Randolph and the Family Band - whose label debut for Sony Masterworks, Got Soul - is today an inspiration to the likes of Eric Clapton, Carlos Santana and Derek Trucks, all of whom have played with him and studied his technique. It wasn’t until he was out of his teens that Randolph broke away from the confines of his social and musical conditioning and discovered rock, funk, soul, jazz and the jam band scene, soon forging his own sound by fusing elements of those genres. 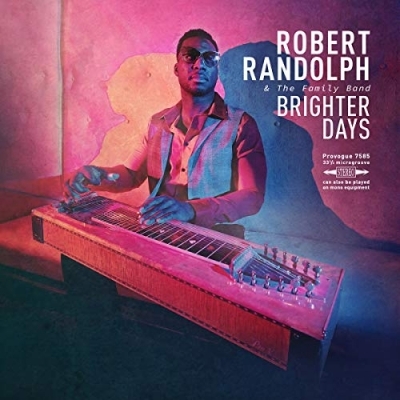 By the early 2000s, Randolph had begun applying his dazzling steel guitar technique to secular music, and from that grew the Family Band. The group’s sound was so different than anything else around that they were soon packing New York City clubs. Their first album, 2002’s Live at the Wetlands, was recorded at the now defunct jam band haven, and was followed by four studio albums and another live set, each widening the band’s audience - they’ve long been regulars on the festival circuit - and broadening their stylistic range as well.